There are a few solicitors, Yair Cohen being one, who truly specialise in Social Media and Internet Law. Yair, who started his internet law career as a coder and a developer of e-commerce websites, in the very early days of internet, is highly knowledgeable, passionate and forthinking in anything linked to internet and social media law. 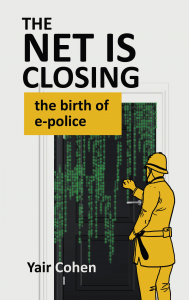 Yair is the author of the book The Net Is Closing: birth of the e-police, where he sets out, based on his work experience and interviews with hundreds of victims of internet anarchy, the reasons why the internet has been left unregulated until very recently. Yair is an entertaining speaker and a desired newspapers, radio and television contributor.